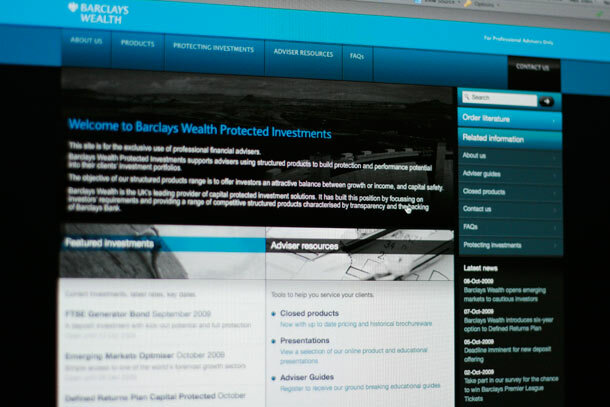 It’s been a year in design and development, so we’re only just a little bit proud that we’ve finally launched the new website for Barclays Wealth Protected Investments. The site features pricing feeds, a back catalogue of their investment products and a much improved design and user experience. Next up a second printed guide to complement the Portfolio Planning Guide we produced for them earlier this year.